Clapham is a railroad diagram generator. 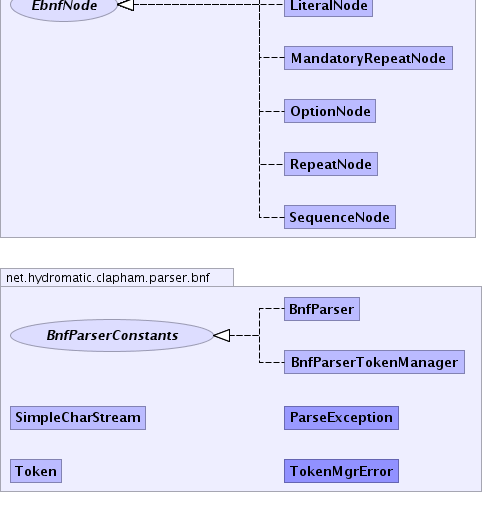 net.hydromatic.clapham Provides public API and command-line interface for the Clapham railroad diagram generator. 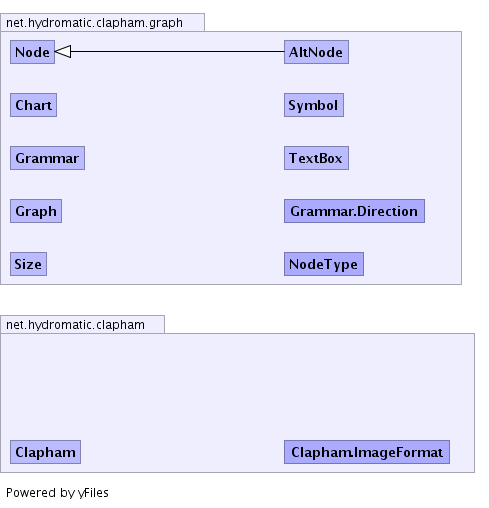 net.hydromatic.clapham.graph Provides the graph representing a parsed grammar. 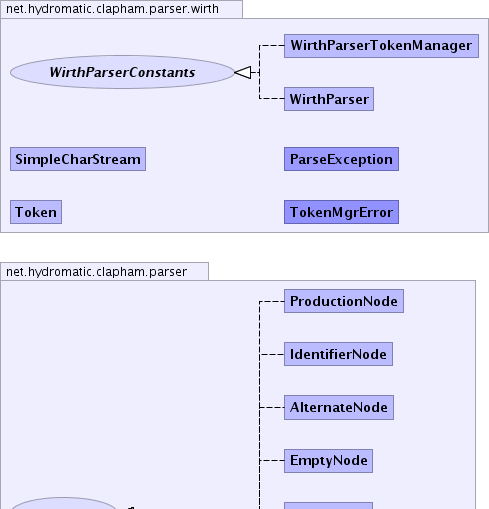 net.hydromatic.clapham.parser Provides the API and object model for grammar parsers. 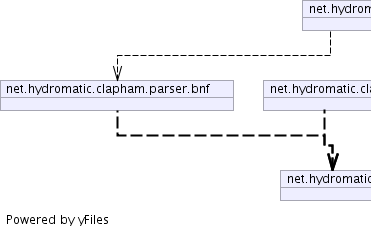 net.hydromatic.clapham.parser.bnf Contains the implementation of the BNF parser. 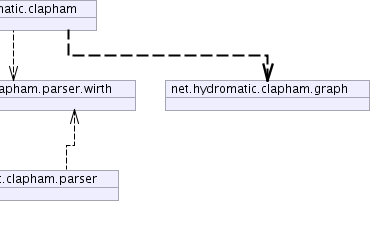 net.hydromatic.clapham.parser.wirth Contains the implementation of the Wirth Syntax Notation (WSN) parser.